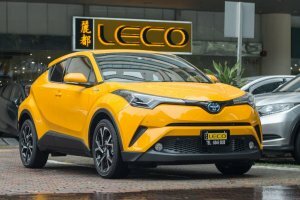 The Toyota C-HR is one of the most highly-anticipated new models in Singapore this year. We take a look at five reasons why it could be the next big thing. 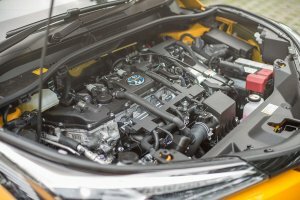 There hasn't been this much excitement over a Toyota since the 86 sports car, but the new C-HR has been garnering plenty of hype in the build-up to its launch. Officially, the C-HR won't arrive till the later part of this year through authorised channels, but for those who can't wait, several parallel importers already have the car in stock. 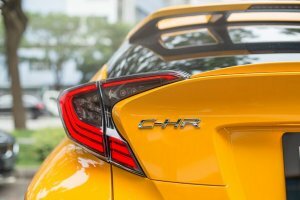 But why is the C-HR so highly-anticipated? We take a look at five reasons why the C-HR could potentially be the next big thing and supplant the Honda Vezel as the king of crossovers locally. Well, when we say first, it highly depends on what you define as a 'crossover'. Some may argue that the RAV4 is in fact Toyota's first mainstream crossover, for which a case may be argued. But the RAV4 boasts clearly rugged looks and all-wheel drive capability, so it would better fit into the Sport Utility Vehicle (SUV) mould rather than as the crossover as we know it today. The C-HR on the other hand is more of the urban crossover variety. Its compact size and youthful looks hold greater appeal to today's younger drivers who don't necessarily seek off-road ability, but prefer something to fit into the active lifestyles that they lead. As such, the C-HR fits right into that mould. According to the Land Transport Authority (LTA), nearly one in four new cars sold in Singapore are SUVs or crossovers. This is clearly evidenced by the number of Honda Vezels and Nissan Qashqais populating our roads, and it is fairly obvious that crossovers sales are now outnumbering sedans today. The reason for this boom can be boiled down to a few factors. The prospect of a high driving position clearly appeals to many drivers these days. Younger drivers also demand practicality, and a crossover is likely to have more space to accommodate the various knick-knacks, like bicycles or various activity gear, as compared to a regular sedan or hatchback. One look at the C-HR and you can tell that it is a car that looks like no other. 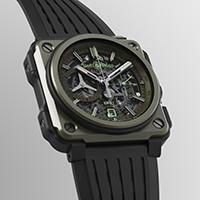 The sporty design alone has had people talking, and generated plenty of buzz, both online and among consumers. C-HR stands for Coupe High Rider, and the car does indeed boast of coupe-like styling, with its sleek, sloping roofline and cleverly-styled hidden rear door handles, giving off the impression of a rugged sports car. As well, the various bold slashes and design details such as the optional two-tone colour scheme ensure that it looks like virtually no other crossover out there. Whether you like it or hate it, there's no denying that it has gotten your attention. While the C-HR may not offer the same level of cabin spaciousness and interior room as the Vezel, it still holds great appeal for the new millennial generation of car buyers who place greater emphasis on style and design. In that vein the C-HR is more akin to the uniquely-styled Nissan Juke as compared to its more passenger-friendly counterparts like the Qashqai and the Vezel. Most importantly, the C-HR is garnering plenty of attention because it is an exciting-looking lifestyle vehicle from a hugely popular brand not known for exciting cars. Should the C-HR turn into a huge sale success, it could not only rejuvenate Toyota's image, but it could also set the road for the brand's future. The C-HR is available with either a 1.2-litre turbocharged petrol or a 1.8-litre hybrid variant. Both are currently available at parallel importers, but official dealer Borneo Motors has not confirm which model it will be offering. Both models will probably arrive when the new Vehicular Emissions Scheme kicks in, and while final local specifications are yet to be confirmed, it is possible that the hybrid version will fall into the top band and net the maximum $20,000 rebate. The 1.2-litre petrol meanwhile is likely to come under the neutral band with neither a rebate nor surcharge imposed. Under the current Carbon Emissions-based Vehicle Scheme however, the C-HR Hybrid will net a $30,000 rebate as it falls under the top tier A1 band, while the petrol model will remain neutral.